“Homegrown,” a project of KGB-FM radio in the 1970s, held annual contests for local bands to write and record locally themed songs, many of them about particular neighborhoods. Winning tracks were produced and released on vinyl. But with a 2017 city-wide median age of 34, the project had long fizzled out before the majority of San Diego’s current population was even born. It’s reserved for nostalgia and used record stores. “For the San Diego ballet, I do think it’s important that we don’t just do lip service to the fact that we’re a local dance company,” said director Javier Velasco. The eight KGB-FM “Homegrown” albums are, at turns, impressive, cheesy, catchy, weirdly relevant or painfully stuck in the past. San Diego’s neighborhoods are constantly in flux, gentrifying and transforming, so lyrics written about these places in the ‘70s seem more archival than any sort of enlightening tourism tool. Ballet set to popular music is not out of the box, insists Velasco. Today’s dancers may not be dancing with their friends to the likes of “Lakeside Lady” at any hot Gaslamp clubs, but the closing act of “Homegrown II” features ballet movements set to a dozen songs from the KGB-FM record series. The first act of the project explores this titular theme not through neighborhoods, but by way of building choreographers within the San Diego Ballet community. “A dancer could basically go through their entire training and career without ever having had to choreograph anything,” Velasco said. The company’s new producing director and dancer Matt Carney said Velasco scouted two choreographers — himself and Zoe Marinello-Kohn — to produce two separate original works. Carney’s piece, “The Silent Town,” is an exploration of a tumultuous life of loss and love, and features the work of composer Alma Mahler. The music is one of her first compositions since her allegedly controlling husband, composer Gustav Mahler, stopped forbidding her from writing. Similarly, Marinello-Kohn’s piece, “Hysteria,” portrays strong female archetypes, the ways in which women perpetuate societal limitations on each other, and also the ways in which women band together to support one another. Marinello-Kohn achieves this through vignettes of several distinct themes, such as shame, dependence and expectations. “It’s such an interesting term because women were described as hysterical for reasons that now we take for granted as being normal,” Marinello-Kohn said of the way she’s reclaiming the title. “I wanted to use that word to convey this idea that we’re not out of control. And that goes along with the idea of shame,” she said. Empowering choreographers like Marinello-Kohn and Carney from within the company is an important part of the process. “Homegrown II” will be performed at the White Box Live Arts Theater in Liberty Station for two performances, Nov. 3 at 8 p.m. and Nov. 4 at 6 p.m.
Related: It took until the fourth “Homegrown” record released in 1976 before a woman appeared on any of the albums. TranscenDANCE Youth Arts Project pairs up with One Book, One San Diego to present youth dance and storytelling in “United We Move,” at the Central Library’s Neil Morgan Auditorium on Sunday. It’s free but reservations are suggested. The tiny but mighty Teros Gallery recently celebrated its third anniversary. I am loving this teaser post on Instagram for its upcoming 2019 calendar, in collaboration with Burn All Books. We are still in spooky event season, so be sure to revisit the handy spooky event guide from last week’s Culture Report. 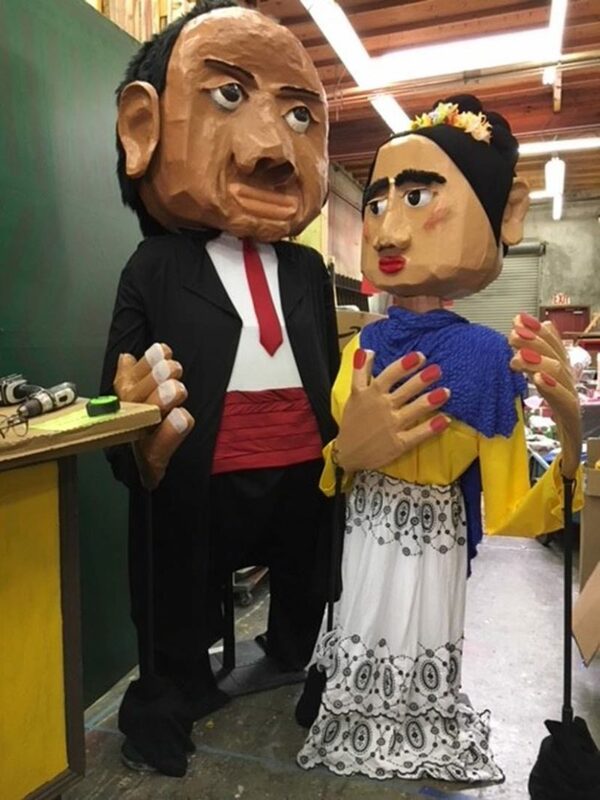 On Wednesday, the San Diego Guild of Puppetry brings its giant Dia de los Muertos puppets to the San Diego Airport’s Terminal 2 Baggage Claim area (pre-security). The puppets are created by Felix Diaz and his family and students. According to this recent ghost-riddled article on Medium’s Economy vertical, temporary Halloween super stores in San Diego bring economic revitalization without gentrification. 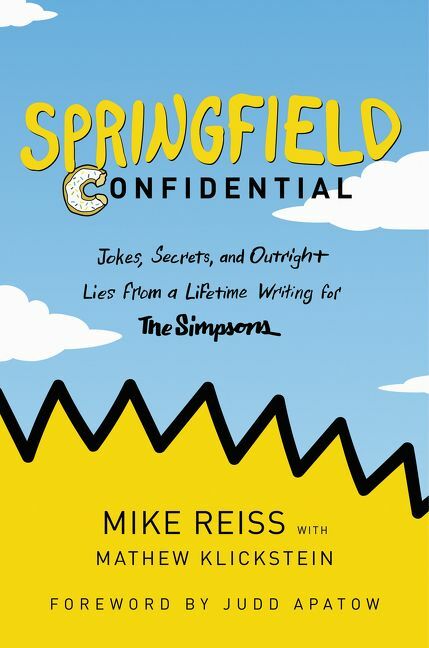 In books news, but also childhood nostalgia news, “The Simpsons” writer/producer Mike Reiss will visit San Diego to read from his new memoir, “Springfield Confidential: Jokes, Secrets, and Outright Lies from a Lifetime Writing for The Simpsons.” Of Reiss, Conan O’Brien said, “The good is always rare. A truly great comic is rare. Mike Reiss, by definition, is a rarity.” Unpack that and get to the San Diego Center for Jewish Culture on Thursday. Two women explore what it means to make art as mothers, feminism and approaching the empty nest years. Hill & Stump’s opening reception is Friday at Klassik Design. Public art and public arting! The city of San Diego is supporting a mural at the entrance to Fiesta Island, and Saturday and Sunday, between 9 and 3, artists will outline a paint-by-numbers arrangement for volunteers to color local flora and fauna. An Applied Funk art show by Rebl254 features reused and industrial-grade materials, Saturday at Project Reo Collective. San Diego Museum of Art and the San Diego Youth Symphony pair up for Musical Art Stops this Sunday afternoon. Explore the museum via 15-minute youth solo performances (these kids are good) near specific art pieces. The popular San Diego Vintage Flea Market returns to the Observatory in North Park this Sunday. It’s free, so if you manage to find parking for brunch, might as well pop in? San Diego Beer Week is next week. Dear reader, I do not love beer, but I do love donuts, which is how you can get San Diego Beer Week to matter to me. A beer and donut pairing with Nomad Donuts and Kilowatt Brewing happens this Sunday. In case donuts aren’t enough, here’s the full list of San Diego Beer Week events. Of course there’ll be tastings and special menus, but also things like yoga (with beer), 5Ks (with beer) and chocolate (with beer). CityBeat outlines what’s new at this year’s Beer Week and, like donuts, Beth Demmon’s writing also makes me care (a little bit) about beer. The Reader recently ran this nostalgic history of San Diego brewing. Now for a refreshing switch to cocktails after all of that yeasty beer talk! Eater found the best, nay, “hottest” cocktail bars in San Diego.